Learn when the preload unlocks and how to preload Red Dead Redemption 2 in preparation for its release. Red Dead Redemption 2 will be here soon and players are trying to prepare themselves for the new life in the Wild West by preloading the game ahead of its release. Players on Xbox One and PlayStation 4 will want to get the preload started as soon as possible, especially if internet speed and bandwidth are an issue, as Red Dead Redemption 2 is quite large. 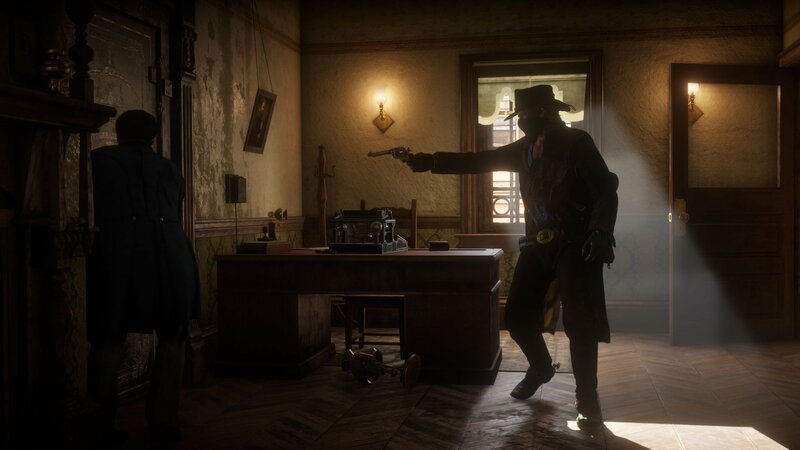 Taking the time to preload Red Dead Redemption 2 will allow players to avoid unnecessary wait times once the game officially unlocks on October 26. The entire preloading process is incredibly simple, players need only to purchase the digital version of the game through the console’s online store and the preload will begin. For those that preordered Red Dead Redemption 2 a while ago, they have no doubt been wondering what time the preload starts, and the good news is that it’s already live. Players should boot up their Xbox One or PlayStation 4 console and if the download doesn’t automatically start, head to the store, search for the game, and select the download option. The time it will take to download and preload Red Dead Redemption 2 will vary depending on user’s internet speeds as the file size is huge. On Xbox One, Red Dead Redemption 2’s file size is 88.1 GB, so expect similar sizes on PlayStation 4. Take a moment to look over the Shacknews coverage of Red Dead Redemption 2 as we continue to cover Rockstar Games' latest title in the lead up to, and after, the release date at the end of the week. For those still thinking about making a purchase, check out our guide on what version of Red Dead Redemption 2 you should buy.